BEIJING, May 25, 2016 /PRNewswire/ — Boeing (NYSE: BA) and Air China officially unveiled the airline’s first 787-9 Dreamliner to the public at a grand ceremony in Beijing today. The national flag carrier is the first airline in the country to have a 787-9 enter into service. This is the first of 15 Dreamliners set to join Air China’s fleet. The 787-9 complements and extends the 787 family. With the fuselage stretched by 20 feet (6 meters) over the 787-8, the 787-9 will fly over 40 more passengers an additional 285 nautical miles (830 km) with the same exceptional environmental performance — 20 percent less fuel use and 20 percent fewer emissions than similarly sized airplanes. The 787-9 leverages the visionary design of the 787-8, offering passengers features such as large windows, large stow bins, modern LED lighting, higher humidity, a lower cabin altitude, cleaner air and a smoother ride. 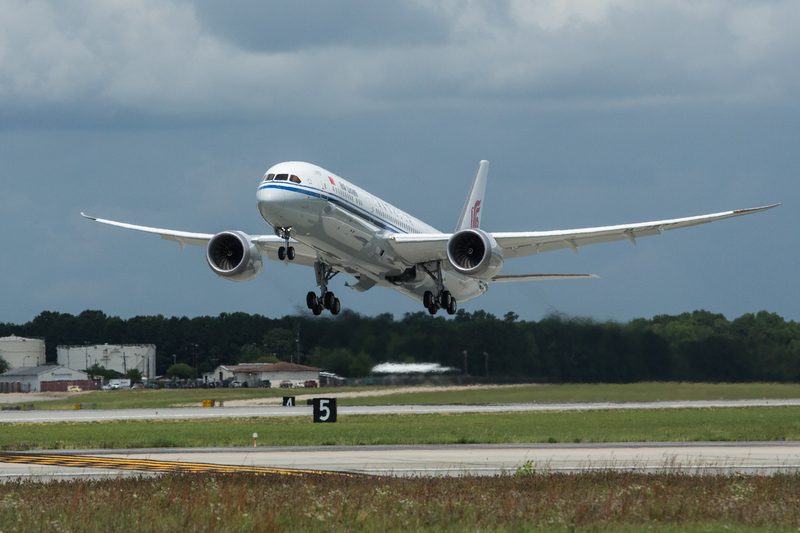 “We believe the 787-9 will become the backbone of Air China’s international long-haul routes and will play an important role in supporting Air China’s international development strategy,” added Captain Wang. Air China, headquartered in Beijing, is a leading provider of passenger and cargo services in China with scheduled flight routes connecting 174 cities in 40 countries and regions. Air China will use its 787-9s to ride on the wave of fast growing international passenger traffic by expanding its international network through non-stop point-to-point services. Next articleRYANAIR CALLS ON EU TO FINALLY TAKE ACTION AS FRENCH ATC UNIONS ANNOUNCE 4 MORE STRIKE DAYS! ASEM summit in Brussels on 18 and 19 October 2018 – which aircraft to expect?